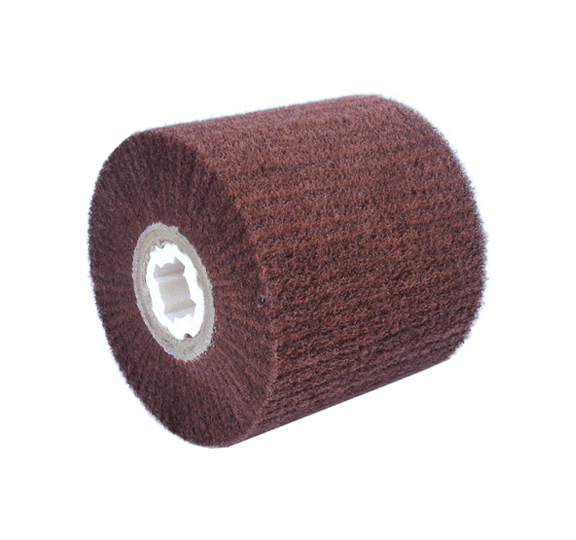 The satin finishing rolls made of abrasive fleece consist of individual abrasive fleece flaps. These flaps are embedded in a plastic core in a fan shape around the axis. During processing, the satin finishing roller acts elastically – due to the filling with non-woven abrasive flaps – and easily adapts to the respective workpiece shape or workpiece contour. The axis is provided with a bore of 19 mm and keyways for use on hand-guided grinding or satin finishing machines.